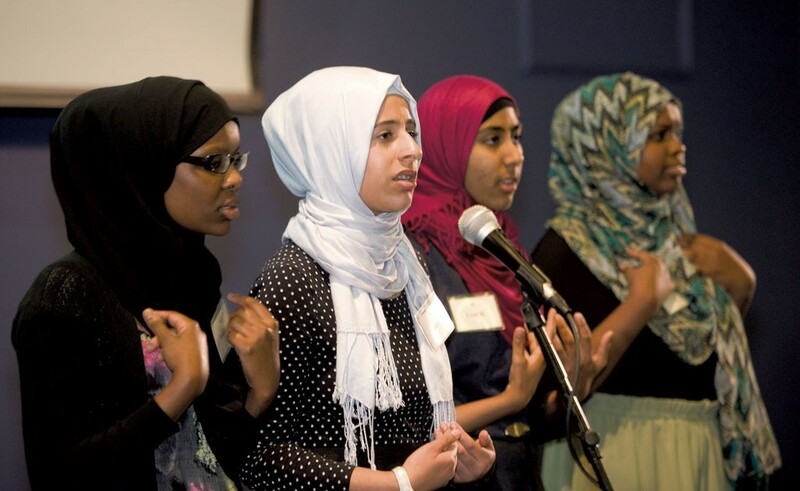 It's been two years since Muslim Girls Making Change performed at the Brave New Voices International Youth Poetry Slam Festival in Washington, D.C. But the high school seniors still gush about their experience. Not only did they get to learn from their peers about issues they hadn't discussed in their own classrooms, but they also got to watch poet and activist Amir Sulaiman onstage. "If you don't feel like crying when you hear him perform, you don't have a heart," said MGMC member Kiran Waqar. On Friday, more Vermonters can experience Sulaiman's artistry: He'll appear at the Voices for Change conference in Burlington, which MGMC organized along with other local youth leaders and the Young Writers Project. At the five-hour conference, which includes an open mic and "Forum on Identity," the California-based poet will lead a predinner workshop for youth and cap the day with an hourlong evening performance. The event is billed as a call to action for young people. "We want people to get involved," said MGMC's Lena Ginawi, "and use the skills they've learned at this event elsewhere ... for something they think they need to talk about." The conference is funded in part by a grant that YWP received last spring from the New York City-based Doris Duke Foundation for Islamic Art. It's intended to support a youth-led project that fosters an understanding of Muslim cultures and related social justice issues among Vermont's youth. Giving the spotlight to Muslim artists such as Sulaiman is vital, according to Waqar. "Especially in Vermont, where there're so many misconceptions even with well-intentioned people," she said, "it's important for [people] to hear such a powerful voice." 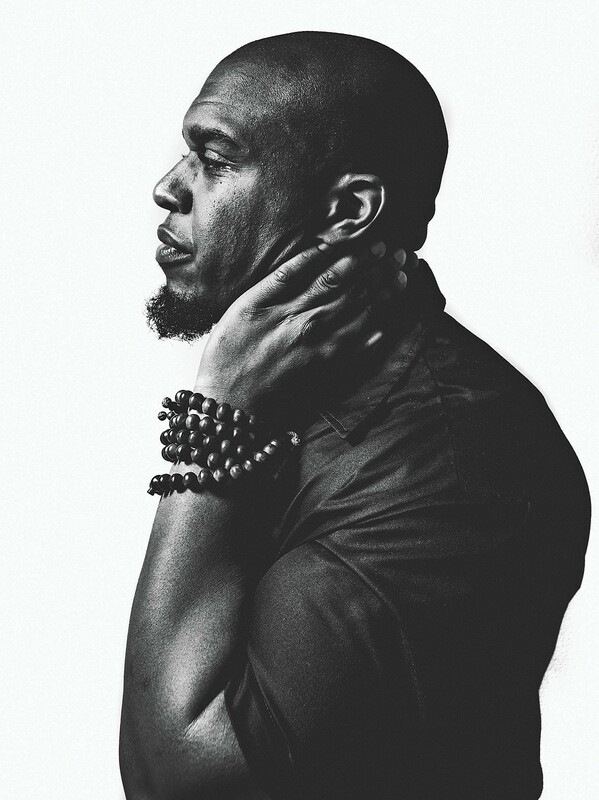 Born in Rochester, N.Y., Sulaiman is also a recording artist, Harvard University fellow and alum of HBO's "Def Poetry Jam." He said he responded to Ginawi's invitation letter because he was moved by the group's desire to encourage young people to write and speak the truth. "More than an off-the-cuff and one-off thing," he told Seven Days, "this is part of a larger change they were trying to create." Sulaiman's workshops often center on issues of identity and finding one's voice. Though he has general starting and ending points, it's the "personalities in the room" who determine the course of these sessions, Sulaiman explained. He likened the participants to travelers on a ship, noting that they come from a wide range of ages and religious and ethnic backgrounds. He hoped attendees of his Burlington workshop would leave with "the courage to speak as they are ... and present themselves to the world as they genuinely are in reality." Sulaiman, who has performed with Stevie Wonder and Kanye West, will share the limelight at the Vermont event with local activists such as Rivan Calderin. The Burlington High School senior is among a group of panelists who will talk about their experiences with youth empowerment. Along with MGMC members Hawa Adam and Balkisa Omar, Calderin is a member of the Social Justice Union at BHS, which submitted a resolution to the school board in February to raise the Black Lives Matter flag on campus. Conference attendees have to be "willing to sit through serious discussions and listen to some stories from people who've experienced problems with identity," said Calderin. Alluding to the current national interest in youth activism, Omar said the timing of the conference couldn't be better. "Just having this event where it's youth oriented, youth led and youth organized is super empowering," she said. Planning an event while juggling their responsibilities as students and activists wasn't easy, but they've pulled through, Omar continued. "It shows adults what can happen when they step back and let us step forward." Still, the organizers hope to see adults at the conference, too. "It creates rich conversations and discussions if [they] are also attending it," said Adam, who sees the event as an opportunity for adults who claim to support youth activists to walk the walk. "This is the time to discover who those youths are and also to confirm that you're true to that work," she said. Adam hopes the conference will encourage more students of color and Muslim youth to join the slam community. "It's always harder to get those people in the room because they have been silent for a while," she said. "It's really important that we finally put a spotlight on them ... because those are the untold stories that we need to hear." The MGMC quartet will perform a short set at the conference — one of their last showcases before they leave for college. "Everybody who asked us, 'What's next, what's next?' has to be there," Ginawi said. The original print version of this article was headlined "Acclaimed Slam Poet Headlines Youth Conference in Burlington"